MOVEMBER: Men’s health awareness month. Because although men seem to be dying when they get ‘man flu’, when they really have something wrong they don’t say anything! Prostate cancer, testicular cancer and mental health are taboo subjects . So this evening two young men put their beards and their hair on the line to raise funds for Movember. 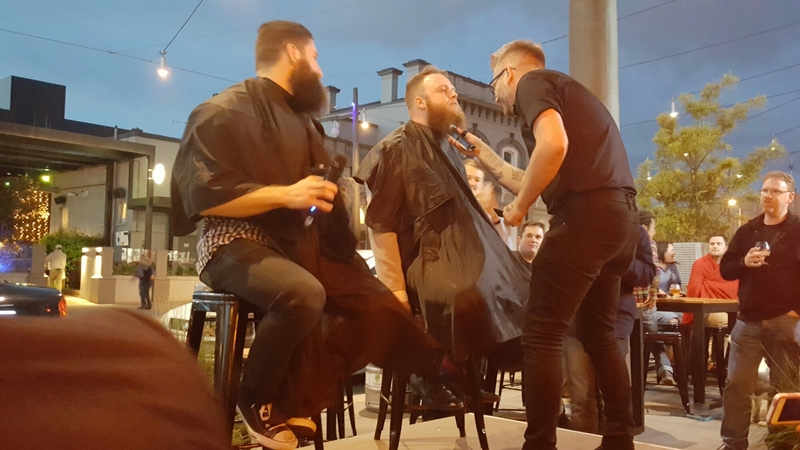 Steven from Craft Hamilton and Ben from Little George had their beards and heads shaved. Great job boys!